We all need to express alarm or enthusiasm on occasion. The operative words are “on occasion” to avoid the one-who-cried-wolf syndrome. Alarm or enthuse too much and you’ve numbed your audience. 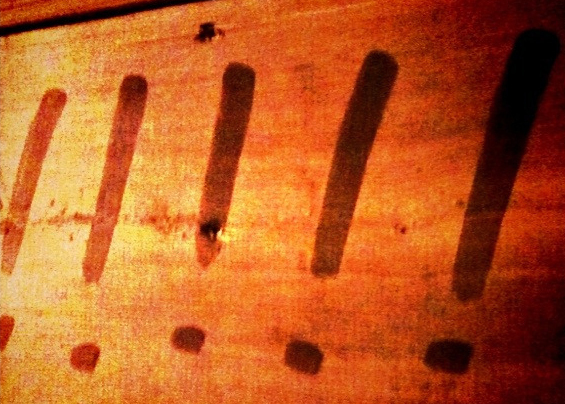 Even one exclamation point should be a rare thing. But what are your options in the face of information overload from every corner? How do you get people to pay attention long enough to click to read more or to stop scrolling for a minute to see what you have to say? Exclamation points are a like the heat of a pepper. They say nothing about the flavor of the pepper. Exclamation points are hollow in meaning because they don’t deliver any nuance or describe what’s unique or why your audience will benefit from what you’re offering. In fact, by using exclamation points you’re making your audience guess what’s so great. That’s your job. With the blurring of lines between business and personal on sites like Facebook, it’s easy to forget to connect with your audience and build their loyalty and trust. Overuse of exclamation points says you’re too lazy to say something that interests me. It can also give the impression that you’re not confident enough in what you have to offer. The best option is to hire a professional. It might not be practical for all your content needs but that person can create messaging for you to reuse and reword as needed. You’ll have a foundation for style and tone to work with. If you really want to move someone, do it with good old-fashioned, well-chosen words. Instead of, “This event is going to be amazing!” tell me why. Will it build my confidence? Erase my fears? Give me tools to embrace what makes me remarkable? Leave me weeping with joy? • Replace a blah verb with a more confident, compelling one. Use a thesaurus. • Make passive sentences more active. Flopping the order of words makes a more commanding sentence and eliminates the need for an exclamation point. • If you must use one, reserve it for one very short phrase, perhaps at the beginning or end. The longer the phrase, the more awkward an exclamation point is. • Shorten all your copy. When it’s shorter, it’ll have more impact. • Pay attention to your own enthusiasm level. The more bored you are, the more exclamation points you use. Take a break. Look at it with fresh eyes later.